As of today, we are one month from the start of the Biggest Week in American Birding (BWIAB). I announced in an earlier post that I will be one of the field trip leaders and official bloggers for the festival and will be around the area for most of the week. It turns out that I will be there from Saturday May 5th to Friday May 11th. Hopefully I can meet as many of my readers as possible so please let me know if you will be coming to the BWIAB. 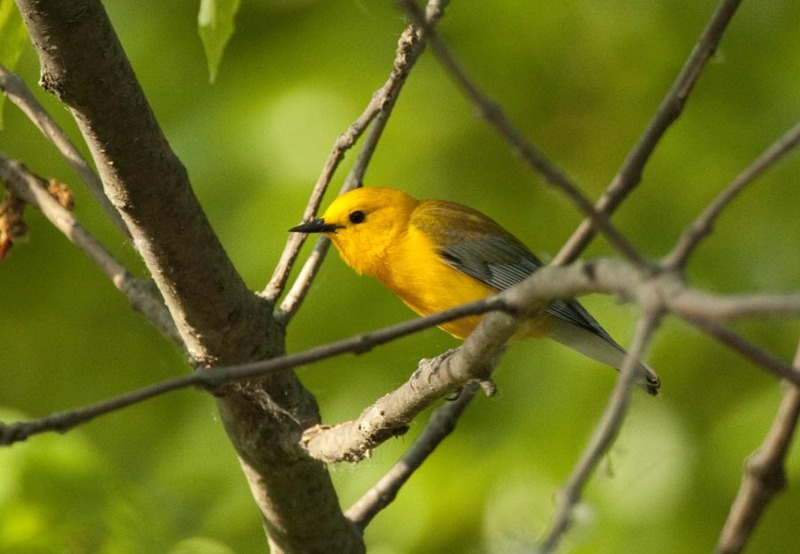 The BWIAB is held in Northwest Ohio which is the warbler capital of the world. 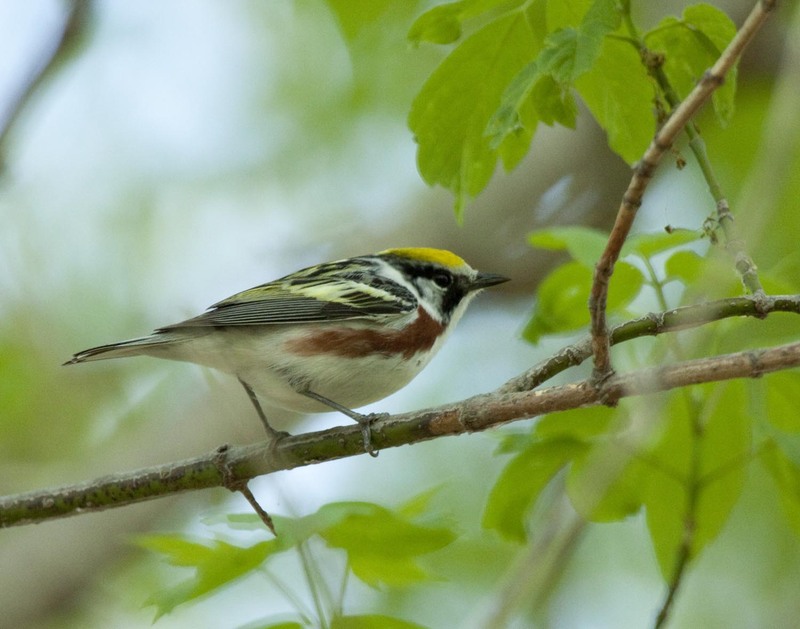 If you like warblers, you must come to Magee Marsh and the whole Black Swamp region during the month of May. I have been traveling to the area every spring for the majority of the last eight years and can honestly tell you that you will never see more warblers at such close range anywhere else. Thousands of people from around the country and even around the world flock to this event, but it's truly about much more than just the birding. Don't get me wrong - the birding is spectacular but what this event does for conservation in the area and the economic impact that is felt by local businesses is quite amazing. Hotels and restaurants certainly benefit from the increase in visitors, but local organizations are also having events to promote Black Swamp Bird Observatory and BWIAB. This year the Toledo Mudhens are offering a special ticket price for birders to enjoy a baseball game. One dollar of the cost of the ticket will be donated to Black Swamp Bird Observatory. Check out this awesome flier that the team has put out. The Toledo Museum of Art is also on board with a special exhibit that is inspired by the annual spring migration and this awesome festival. The press release for this event can be found here. All of these things help to show the residents of Northwest Ohio how important it is to conserve their natural areas so that all of us birders will keep coming back and spending money. So join all of us at the BWIAB. 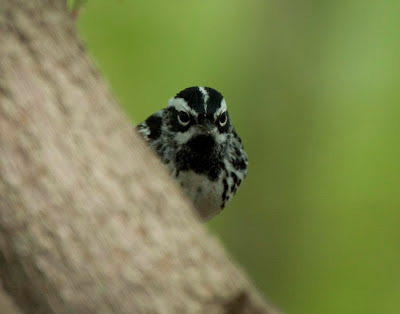 Whether you are a beginning or advanced birder, you will love the time you spend here. Check out the schedule of events here or go straight to the registration page here. Ah...some year. This does truly looks like the greatest week with some of the most beautiful birds to be found in continental North America. Alas...my school will be in session through May. It'd be selfish to ask you all to postpone it a few weeks on my account I guess.